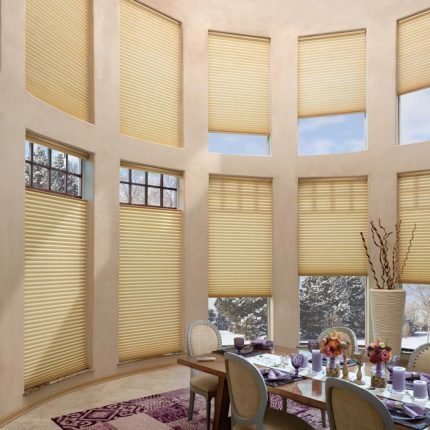 Hunter Douglas’ innovative honeycombs shades collection offers timeless beauty. It delivers the industry’s highest energy-efficiency rating. Available in vertical and horizontal pleats, Hunter Douglas honeycombs come in a wide range of fabric types, colors, shapes and operating systems. 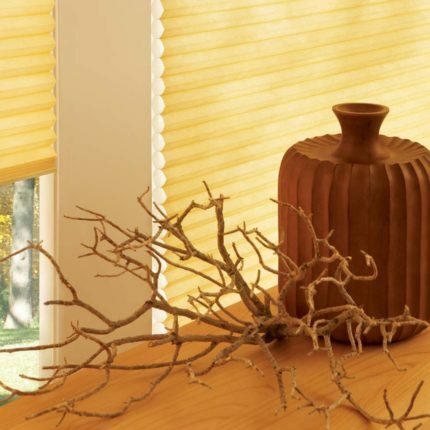 All the below types are some of the best energy-efficient shades you can buy. 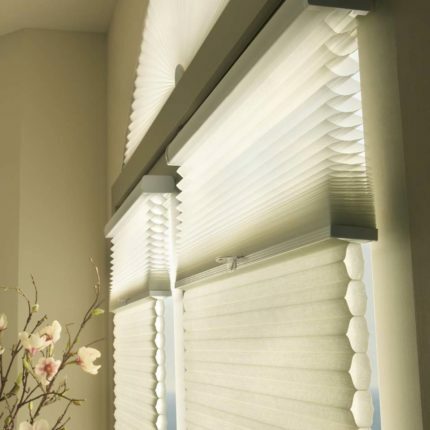 Honeycomb shades are very popular, but are far from the only shades you can purchase. 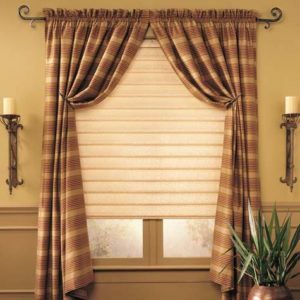 There’s roman shades, roller shades, and more. Click here to see our other offerings. These honeycombs offer a wide array of fabrics, pleat sizes, and colors and textures. 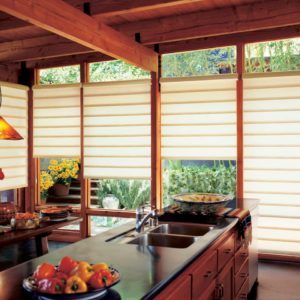 The original single- and double-honeycomb Duette® shades by Hunter Douglas come in multiple cell sizes, a horizontal or Vertiglide™ vertical orientation, and a range of light-control options from sheer to opaque. Now available with 100% darkness with the innovative LightLock™ option. Architella® features a state-of-the-art honeycomb-within-a-honeycomb design. It offers energy savings in both winter and summer. Choose from the largest selection of fabrics, colors and pleat sizes. Vertiglide™ options also available. 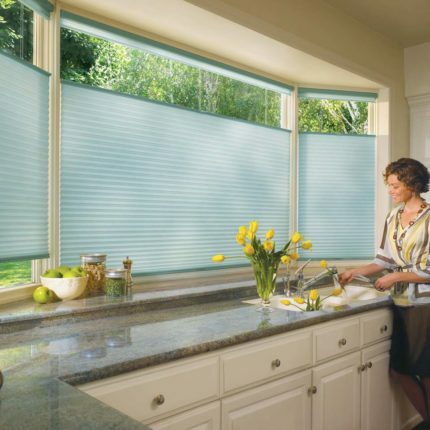 Applause® honeycomb shades offer a streamlined selection of fabrics, colors and operating systems, including Vertiglide™. Available with energy-efficient triple-cell construction. 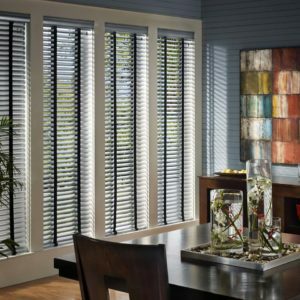 It’s the right choice when looking for energy savings and value with the enduring quality of the Hunter Douglas brand. 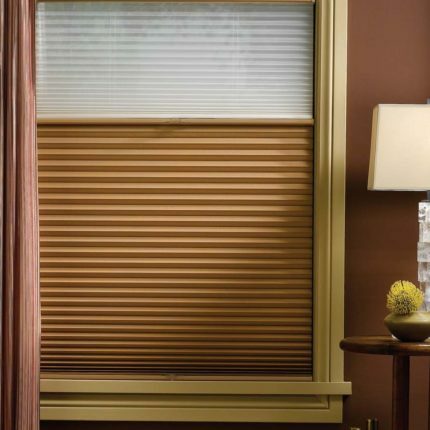 Duette® Architella® Vertiglide™ and Duette Vertiglide® shades are a vertical solution for large patio doors, French doors or walls of windows.